Outdoor apparel brand Timberland has opened its first speciality concept store, The Timberland Tree Lab, in Pennsylvania, USA. It features product collections and brand stories in a gallery-style setting, which will be renewed every six weeks. The store's debut theme is Streetology – a combination of city street style and technology which is highlighted in the brand's FlyRoam collection for men. The theme will later change to Shevolution, transforming the store into a female-dedicated outfit. Guests can browse "sleek, angular design elements and minimalist product displays". An oversized Timberland-branded periodic table is also on display, showcasing the science of comfort behind the new technologies featured in the brand's latest products. Shoppers can also sample a local craft beer from Tröegs Independent Brewing, or enjoy a bottle of water that will be recycled to make Timberland shoe linings or laces. The Tree Lab is part of Timberland's commitment to improving its retail experience. There are plans for additional speciality stores in Stanford, California and Portland, Oregon. The brand also intends to open a series of what it calls "flex retail" stores across the USA, which have been inspired by the Sensorflex comfort technology used in selected Timberland products. Kate Kibler, vice president of Timberland's direct to consumer business in north America, said: "A shopping experience today reflects a journey through a hyper-connected world that's constantly seeking something new, and our stores need to deliver on that. "The Tree Lab is more than just a place to shop; everything a consumer experiences from the moment they enter has been designed to enhance their visit, expand their horizons, and leave them with a great memory to go along with that beautiful new pair of shoes." 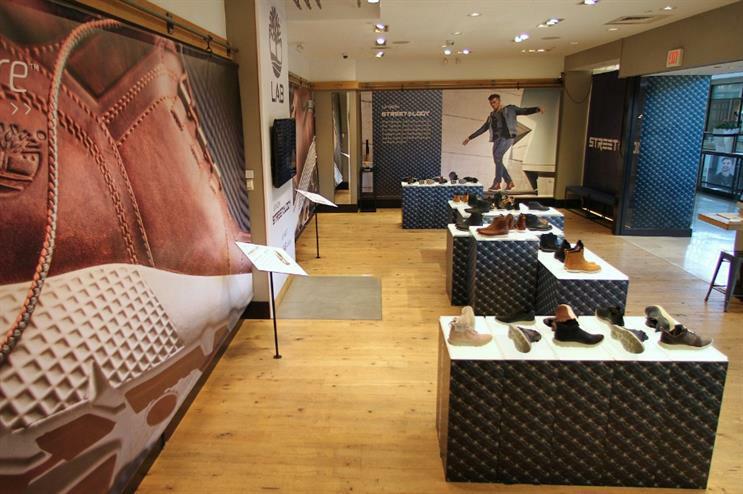 More: In May, Timberland worked with brand experience agency MKTG to stage an in-store 'Flex in the City' experience. In April, Samsung opened its experience store in Toronto, promising shoppers a full calendar of engaging events.